Nothing beats a great Disney vacation to bring your family together and make magical memories. We love planning our own Disney vacations and we love helping our friends and family plan their trips. In the Fall of 2007 we created Fairy TripMother itinerary planning services for Disney vacationers. As Fairy TripMother grew, the need to ease into the travel agent world was apparent. In 2008, we became travel agents and completed our training with Disney’s travel agent certification program, The College of Disney Knowledge. 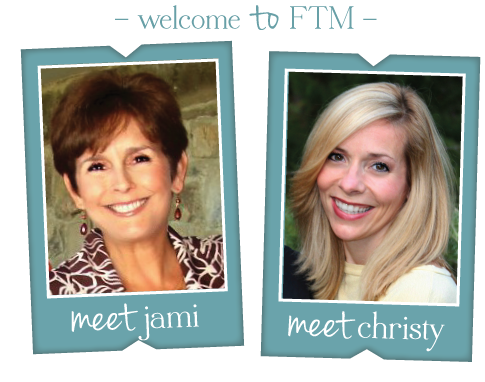 In 2011, FTM Travel was born! Only one short year later, we were selected to participate in Disney’s EarMarked ™ Program and have earned the elite status of Authorized Disney Vacation Planners. Our specialty is booking travel for all things Disney and other Orlando vacation destinations. This includes Walt Disney World, Disney Cruise Line, Disneyland, Adventures by Disney and Disney’s Aulani resort in Hawaii. We have selected our team of agents based on their travel experience and love for great family vacations. Together we have a vast array of Disney knowledge and experience. From choosing your resort and dining options at Disney World to selecting a Disney Cruise Line or Adventures by Disney vacation for your family, we have the resources to help you plan a wonderful trip. Best of all, our travel agent services are complimentary! All FTM Travel Agents are graduates of the College of Disney Knowledge. Why book with FTM Travel rather than doing this on your own? The same dedicated FTM Agent will work with you from initial booking until your vacation ends. We offer advice on when to travel, where to stay and guide you to the best options for your family. Your reservations are monitored for applicable promotions to save you money! Disney is not going to call you back and tell you that they found a way to rebook your trip under their new promotions, but we sure will! Our agents will guide you in planning your dining choices and make all of your restaurant reservations as a complimentary service, saving you hours of online work or time on the phone. Why not book with someone who has been there and can answer your questions from their own experience? We look forward to pairing you with one of our FTM Travel agents to book and build your dream vacation!